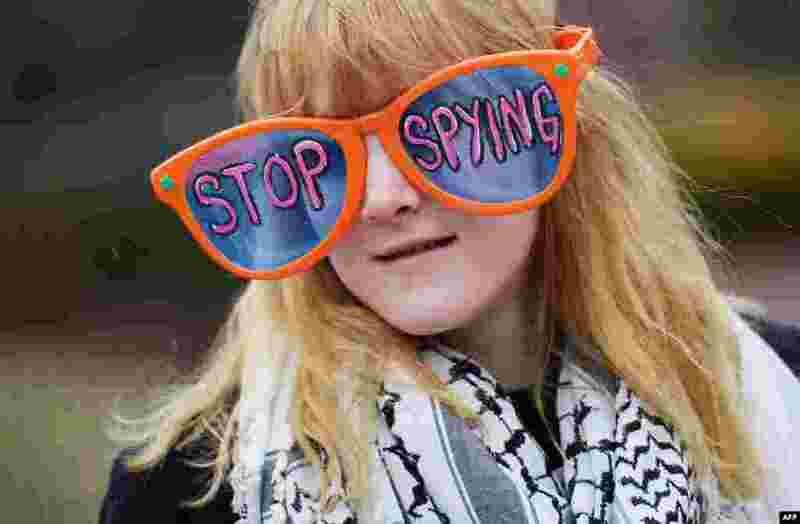 1 A woman wears large sunglasses with a message during a rally in Lafayette Square in Washington, D.C., to call for an end to government surveillance. 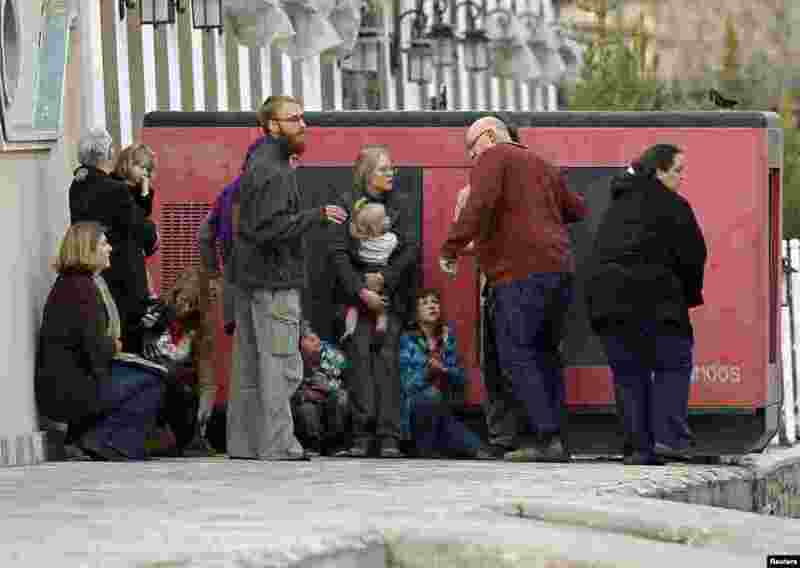 2 Foreigners are evecauated by police from the site of an attack in Kabul. A group of Afghan Taliban insurgents forced their way into a guesthouse used by foreigners in an upscale residential part of the capital, police said. 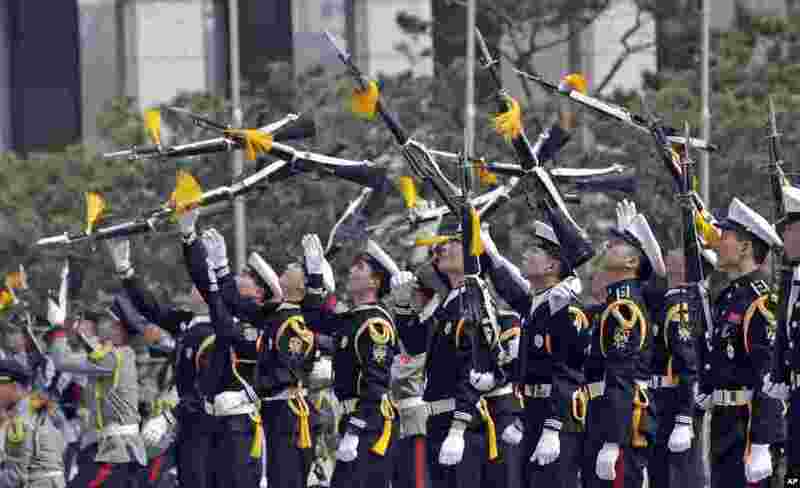 3 Members of a South Korean honor guard throw their rifles in the air during a weekly demonstration at the War Memorial of Korea in Seoul. 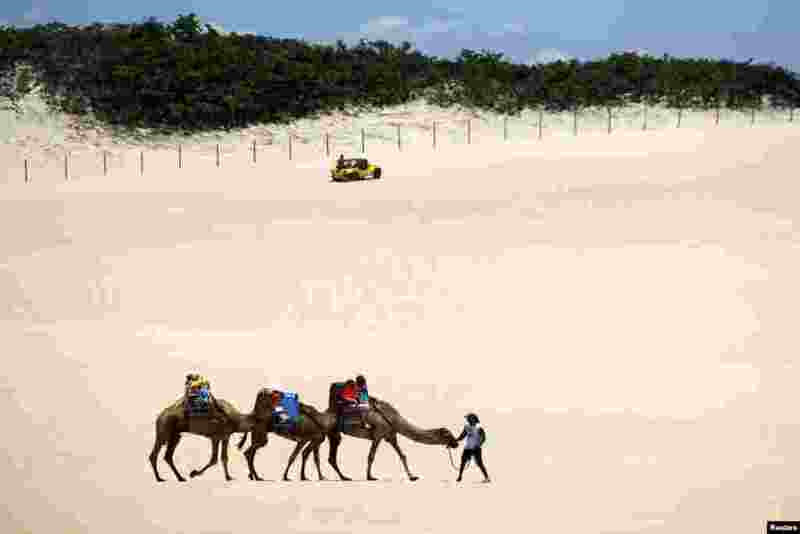 4 Tourists ride on camels at the Genipabu dunes in Natal, northeastern Brazil. Natal is one of the host cities for the 2014 World Cup soccer tournament in Brazil.